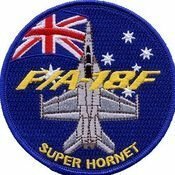 New Furball Tomcat and Hornet decal sheet! Tamiya's Enigma built oob, lovely piece of kit! 1/48 Tamiya P-51D-10 "Detroit Miss", 361FG, 8AF. Pictures to follow, but I am in with Maverick's Tomcat, using Tamiya's F-14A, Fightertown 48077 and some other bits and bobs. F/A-18C Blue Angels blue--rattle can? meh of a kit, built oob. it's a pretty recent molding, not the afrika corps pz.II from BC alas it's uninspiring at best unusual for a contemporary tamiya kit dunno why. anyway, enjoy. LF any 1/35 M3 Lee decals-FOUND! built these two a while ago. I have always been fascinated with the captured aircraft markings from WWII. The Messershpit is the Tamiya MkVb with fusion resin conversion set which I have to say is superb and caused me very few issues. I also added a Yahu instrument panel and Eduard harness. Painted using Vallejo in the 'alternstive' scheme to the main stream thinking, but has a strong possibility of being correct in terms of the blue underside. The BF 109 is an OOB from Airfix club edition. Again lovley set!